June 10, 2014 – Astronaut Steve Swanson and the crew of Expedition 40 faced a small emergency situation today, as smoke emanated from a vent in the Zvezda Service Module of the International Space Station. Expedition 40 Commander Steve Swanson reported that the smoke quickly subsided and the crew was not in any danger. 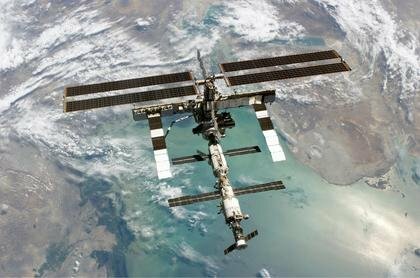 At around 1:40 p.m. MT, ISS crew reported a small amount of smoke. In line with standard protocol, flight controllers at mission control in Houston followed emergency procedures to isolate the Russian segment ventilation system. Russian flight controllers working with the crew identified the most likely source to be a heater for the Russian segment’s water reclamation unit in Zvezda used for dining purposes. The crew deactivated the device, set up a fan and a filter to clear the smoke and took atmospheric readings throughout the station to assess any impacts. The team in mission control is coordinating with their Russian counterparts for any follow up actions.